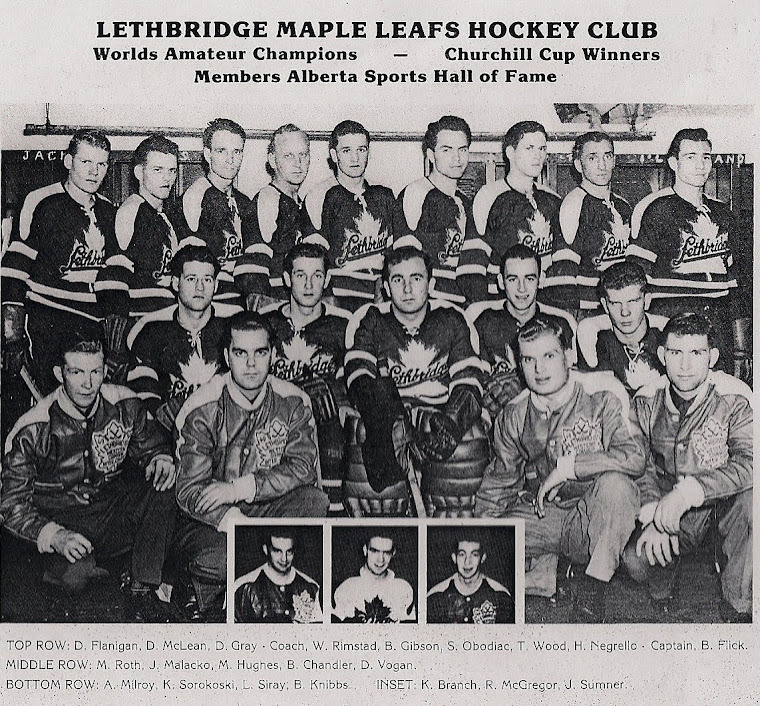 The Lethbridge Maple Leafs carried on the proud tradition of wearing the Maple Leaf in international hockey. The first international Canadian team to wear the Maple Leaf was the Oxford Canadians around 1910. A posting on hockeyhistory.org discusses this history along with a picture. Read post.